The success of analytics story in India has a huge bearing on the leaders that drive it today. The emergence of analytics and big data posed its own set of opportunities/ challenges and these leaders are to a large extent instrumental in shaping the analytics industry that we witness today. Analytics India Magazine’s annual ranking of the 10 Most Influential Analytics Leaders in India honors individuals in Analytics/ Big Data industry who are deemed by their peers and an expert panel to be the most influential individuals in India, in terms of Impact, Leadership, Entrepreneurship and Analytics evangelism. 6 of the 10 leaders listed here have their roots in Genpact or a GE subsidiary. This goes on to display the amount of impact that the company has had on the analytics industry in India. Besides being among the early starters in Analytics, Genpact is also considered among the most successful, and have churned out the best analytics talent over the years. Genpact has about 5,000 people in its analytics practice, largely out of Bangalore. Pankaj Kulshreshtha leads the Analytics and Research practice globally at Genpact. This practice is part of Genpact’s Smart Decision Services that enables clients across industries to make smarter decisions in sales and marketing, cost, and risk management using data and insights. Under his leadership, Genpact’s Analytics business has grown to one of the largest and most extensive practices in the industry. 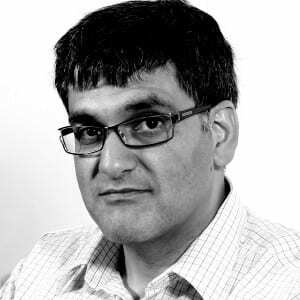 [pullquote align=”right”]Work Experience: 19 years; Past Organizations: GE, L&T; Education: PhD from IIM Bangalore, BE from VNIT, Nagpur[/pullquote]Pankaj joined Genpact in 1998 and was one of the first people who launched offshore analytics teams in India. 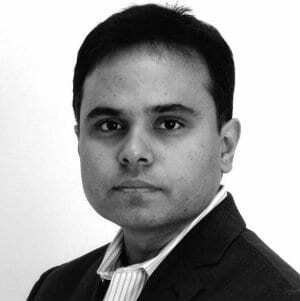 At Genpact, Pankaj helped various GE businesses set up analytics teams and in 2005 moved to GE Money UK, where he led risk management for various portfolios and was Chief Risk Officer for the loans business in his last role. He then rejoined Genpact in 2008. As head of Global Analytics, Rohit Tandon is helping drive the Analytics ecosystem to support HP’s vision and priorities. He is a veteran industry executive known for pioneering and guiding new businesses to success. In Rohit’s leadership HP Global Analytics grew from a small team to a large analytics organization. Today as part of HP’s Corporate Strategy team, Global Analytics is also chartered to lead HP’s Analytics delivery ecosystem, and bring together similar teams to drive innovations that support HP’s enterprise priorities. The organization has access to talent as well as cutting edge tools and techniques that help innovate & customize analytical solutions for sustained competitive advantage. [pullquote align=”right”]Work Experience: 20+ years; Past Organizations: IBM, Genpact, Accenture Consulting, JWT and Ampersand[/pullquote]Prior to joining HP, Rohit was the Executive Vice President at IBM’s Global Processing Services unit where he was responsible for Strategy, IT, Quality and Transformation. During his tenure he was instrumental in setting up and leading IBM’s Knowledge Services business including Analytics where he also acquired a company for IBM. Prior to IBM, Rohit drove the Analytics business at Genpact, leading a team of ~2500 analytics practitioners. Rohit is a Certified Master Black Belt in Six Sigma and a Certified Quality Leader in Six Sigma. He also holds a patent in his name for optimization algorithms designed by him. Among the leading IT service providers in India, Cognizant Technology Solutions is considered the most aggressive in terms of Analytics. Cognizant Analytics resides within H3 (Horizon 3), as a part of Cognizant’s Emerging Business Accelerator (EBA) tower and is a pivotal component in the SMAC stack (Social, Mobility, Analytics and Cloud). Cognizant Analytics unit is regarded as a distinguished market leader and differentiator through incisive focus on topical actionable, applied and prescriptive analytics based solutions coupled with focused consulting approach, IP based non-linear platforms and deeply entrenched customer centric engagement model. Sameer Dhanrajani is spearheading Cognizant Analytics practice. 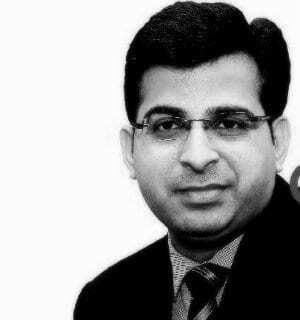 In his capacity, Sameer is leading end-to-end business spheres of Cognizant Analytics and is responsible for crafting differentiated strategies around analytics consulting, platforms and services coupled with creating best of breed GTM, business development, operational excellence solutioning exercises and delivering transformational analytics engagements. 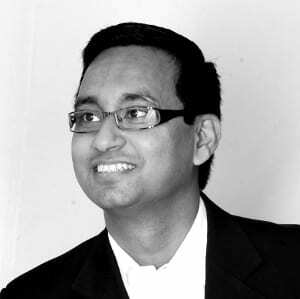 [pullquote align=”right”]Work Experience: 17 years; Past Organizations: Fidelity, Genpact, Alliance[/pullquote]Prior to Cognizant, Sameer was the Country Head for Fidelity National Financial and pioneered India’s first captive to be based on nonlinear growth model with platform based value propositions. He has also served as Vice President – Analytics at Genpact and Director – Alliance Consulting Inc. in his previous assignments. As a recognized industry thought leader in outsourcing, analytics space; Sameer has been recipient of “Outstanding Leadership Award” at India Human Capital Summit and “Exemplary Leader Award” during the Asia Pacific HRM Congress Awards. Sameer is also core member of the NASSCOM Analytics Special Interest Group and is on industry advisory council of ISB (Indian School of Business) and has been quoted across multiple business media and news publications. Fractal was among the earlier Indian start-ups in the area of Business Analytics, and also one the most successful boutique analytics firm too. [pullquote align=”right”]Work Experience: 16 years; Past Organizations: ICICI, ANZ; Education: MBA from IIM Ahmedabad, B.Tech from IIT, Delhi[/pullquote]Srikanth leads Fractal’s global presence in business intelligence, consumer insights, predictive analytics, and optimization sciences, delivered through visual story-telling. Prior to co-founding Fractal, he consulted with major market leaders such as Visa, P&G, Citibank, HDFC Bank and SAP in predictive analytics for risk management and marketing effectiveness, as well as structured debt transactions and collateralized bond obligations at ANZ Investment Bank and ICICI. [pullquote align=”right”]Work Experience: 20 years; Past Organizations: GE Capital, ICICI, Standard Chartered; Education: MBA from IIM Ahmedabad, B.Tech from IIT, Delhi[/pullquote]Prior to joining Dell, Pankaj was Head, Program Management Office at Standard Chartered Bank in their Singapore regional office wherein he helped grow their shared service centers in India and Malaysia. 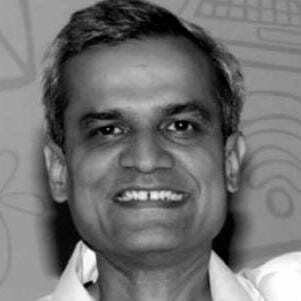 In his professional career spanning 20 years, Pankaj started as a management consultant and then went on to work in the financial services industry in India wherein he worked with ICICI and GE Capital in a variety of roles covering sales, risk management, 6 sigma & operations. 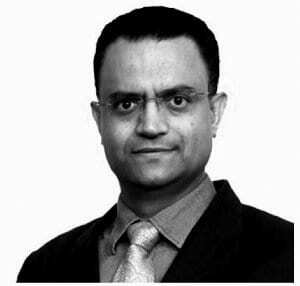 Amit joined KPMG India in Jan 2014 after 18 years of experience as a head of Data Analytics Practice for domestic Businesses. Prior to joining KPMG, he was a Partner and Managing Director with Accenture Management Consulting where he led the global consulting practice for Business Analytics, Customer insights, Sales and Marketing transformation. He started the Accenture Analytics consulting practice in India in 2008 serving both Indian & Global clients and grew the team size to 500+ resources in a span of 5 years. Amit has extensive experience in running analytics driven transformation/ programs for the clients. He was one of the founder members in building advance analytics capability for Accenture Management Consulting and was part of Accenture advance analytics global leadership team. [pullquote align=”right”]Work Experience: 18 years; Past Organizations: Accenture, Genpact[/pullquote]Amit has also done lot of work in areas of analytics capability development & analytics adaption in Organizations. He has worked extensively with various universities to develop Analytics & Data scientist curriculum. He personally own 2 analytics patents, he has also worked with large global clients to help them design their analytics organization & adapt a fact based culture. Before Accenture, Amit was service delivery lead for customer and marketing analytics team in GECIS (now Genpact). He has helped developing GE analytics team for NA, Europe & APAC. He has held senior positions in sales and marketing leadership in consumer goods industry before moving to consulting about 10 years back. Ashish has a unique perspective on how the application of data, technology & business analytics has evolved in organizations in the last 2 decades. When he started his career in mid-1990’s, analytics was primarily used by Financial services organizations. Other sectors like FMCG, Retail and Automotive were much more on mining customer survey data to generate business insights. He was one of the early pioneers in driving behavior-based analytics in these sectors. Subsequently, with the rapid growth of internet and enhanced database technologies, he has led the development of cutting-edge analytics practices to understand how online and offline customer behavior can be analyzed, as well as how to drive analytics deeper into the financial investment planning process for high-stakes decision on sales, marketing and pricing for major product and marketing campaign launches at global scale. [pullquote align=”right”]Work Experience: 18 years; Past Organizations: Microsoft, SABMiller, Gallup; Education: MBA from University of Iowa, MS from Rutgers University, B.Tech from IIT, Kanpur[/pullquote]As an organizational leader, Ashish has extensive experience in creating and developing talent pool across multiple markets. He has mentored and coached numerous individuals in the analytics profession ranging from college-intern stage to senior leadership roles in different industries. Ashish believes in being the change you want to see in the world, and constantly works on developing himself along various professional dimensions in the rapidly changing industry so that he can help lead others in their growth paths as well. As a managing director at Accenture Analytics, now part of Accenture Digital, Arnab Chakraborty speaks analytics fluently. He serves as the Global Lead for Industry Analytics in Accenture’s advanced analytics practice and is also responsible for driving the Big Data Analytics practice. 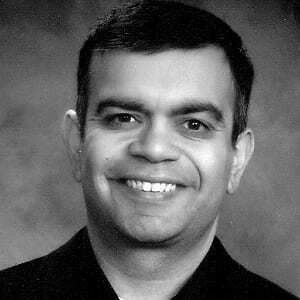 Arnab has over 15+ years of rich experience in consulting and business analytics across diverse industry sectors. Before joining Accenture, Arnab played a pivotal role in scaling up enterprise wide analytics capabilities globally for the past ten years at Hewlett Packard (HP) and GE Capital (Genpact). Prior to that, he held leadership positions at KPMG Consulting, Wipro Technologies, and Larsen & Toubro. 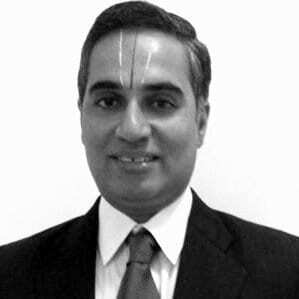 He has worked across High-Tech and Electronics, Financial Services, Consumer Goods and Manufacturing industries. Arnab holds an MBA (Gold Medalist) from National Institute of Industrial Engineering (NITIE), Mumbai, India and a degree in Mechanical Engineering from National Institute of Technology (NIT) Rourkela, India. He is certified in Production and Inventory Management from APICS, USA. 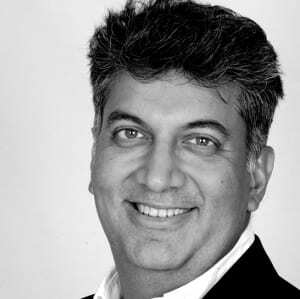 Dr. Anil Kaul is a well-known expert in the industry with over 16 years of experience in marketing research, strategic consulting. and quantitative modeling. He has consulted over 20 Fortune 500 companies during the 4 years he spent with McKinsey & Co. in New York. Thereafter, he joined Anubis Inc., an innovative data warehousing start-up in San Francisco Bay Area, as a part of the four-member top management team. The company was acquired by Personify. He then co-founded AbsolutData in 2001. [pullquote align=”right”]Work Experience: 18 years; Past Organizations: McKinsey, Personify; Education: PhD from Cornell University[/pullquote]Anil is a PhD and MS in marketing from Cornell University. He is also a voracious reader and an intuitive writer. He has published many articles in leading management and academic journals such as McKinsey Quarterly, Marketing Science, Journal of Marketing Research, and International Journal of Research in Marketing. One of his papers was nominated for “Paul Green Award” by the American Marketing Association. He has also been an invited speaker at McKinsey & Co., Dartmouth College, Cornell University, Yale University, Columbia University, Wharton, UC Berkeley, New York University, IIFT, IMT Ghaziabad, and IIM Lucknow. 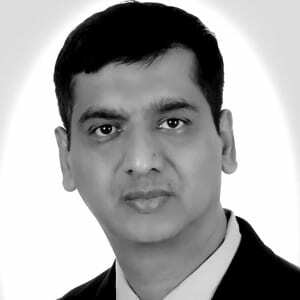 Dr. N. R. Srinivasa Raghavan is Sr. Vice President & Head of Big Data Analytics/Data Science at Reliance Industries Ltd. Working closely with the Chairman and the Senior Business Leadership, he is setting up the Centre of Excellence for Big Data Analytics at RIL capable of delivering deep business insights across Oil & Gas, Petrochemical, Telecom & Life Sciences businesses. He is responsible for strategizing and realizing the value proposition for Data Science and Data Governance within the group companies while building and mentoring a world class team of data scientists / business analysts to deliver for high performance. He has traveled widely, and has extensive industrial experience prior to RIL in strategizing and architecting large scale, global, and complex data science implementations in the Financial Services, Automotive/Semiconductor/PC Manufacturing and Supply Chain verticals. [pullquote align=”right”]Work Experience: 18 years; Past Organizations: Citigroup, GM, Fair Issac; Education: M.Tech. & PhD from IISc Bangalore[/pullquote]He holds award winning Ph. D in Computer Science and M. Tech in Operations Research both from Indian Institute of Science, and is a gold medalist in his B. Tech in Mechanical Engineering from Sri Venkateswara University, Tirupati. He began his career with 8 years of academic research/teaching/consulting experience as a Professor at the Indian Institute of Science. In his past 7 years in industry, he has held senior leadership roles in advanced analytics delivery and innovation at Dell, Fair Isaac, General Motors and Citibank. He has 85 technical publications in leading International Journals/Conferences with 2 International patents filed and has also supervised many award winning doctoral students while at IISc. He has received many awards including the Outstanding Young Associate of Indian Academy of Sciences, Outstanding Young Engineer of Indian National Academy of Engineering, and Young Scientist Fellowship from Department of Science & Technology, GoI. Congrats Pankaj and Srikanth! Great to see your names here.